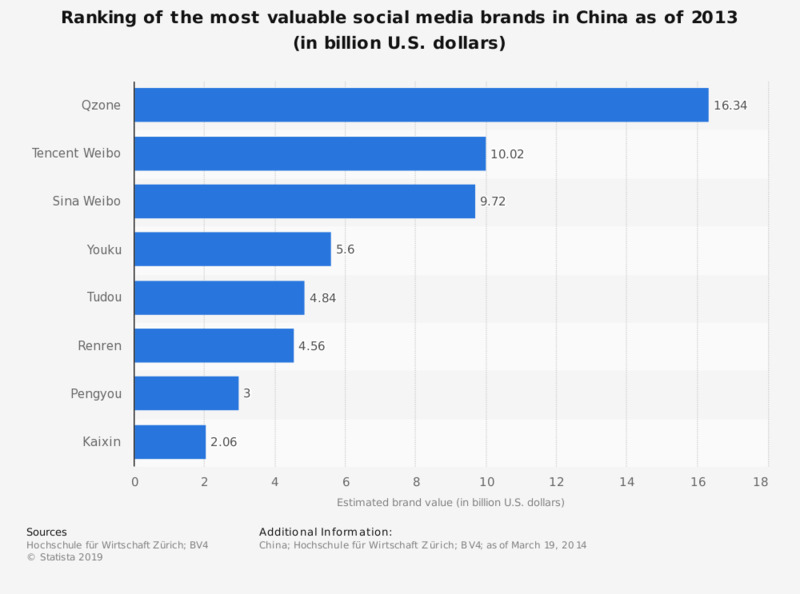 This statistic present a ranking of the most valuable social media brands in China as of March 2013. During the survey period, market leader Qzone's estimated value had ranged at approximately 16 billion U.S. dollars. Microblogging platform Sina Weibo was valued at about 9.7 billion U.S. dollars. The source defines brand value as the earnings of a social network that are attributable to the brand. Social media brand valuation was based upon derivation of financial figures, determination of brand strength and determination of brand value.